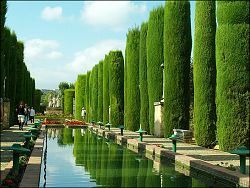 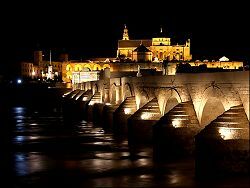 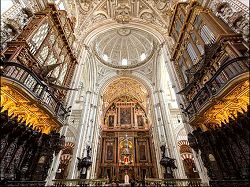 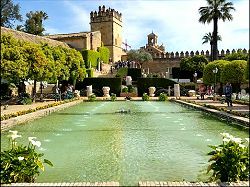 The city of Cordoba in Andalucia lies on the Gaudalquivir river, approximately 170km from the south coast and the Costa del Sol. 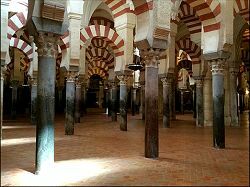 It was important city in both Roman times and that of the Moors. 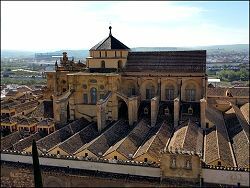 Of the many interesting buildings here, the most famous by far is the Mezquite,the mosque built by the Moors, one of the largest in the world, which became a cathedral after the reconquest. 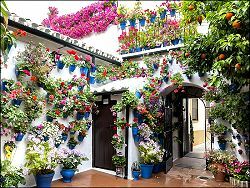 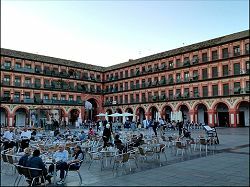 Cordoba still retains a number of Moorish characteristics, including the enclosed patios full of pot plants, many which are open to the public during their annual festival in May. 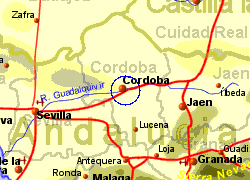 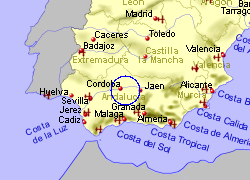 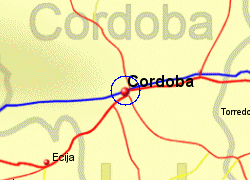 Map of the Cordoba area.